Sports coaching is a social activity. At its heart lies a complex interaction between coach and athlete played out within the context of sport, itself a socio-culturally defined set of practices. 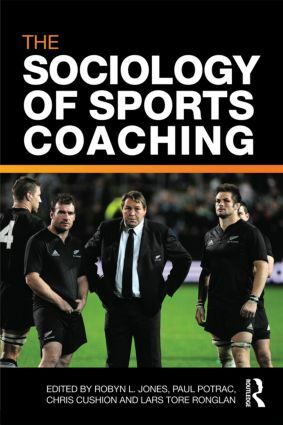 In this ground-breaking book, leading international coaching scholars and coaches argue that an understanding of sociology and social theory can help us better grasp the interactive nature of coaching and consequently assist in demystifying the mythical ‘art’ of the activity. The Sociology of Sports Coaching establishes an alternative conceptual framework from which to explore sports coaching. It firstly introduces the work of key social theorists, such as Foucault, Goffman and Bourdieu among others, before highlighting the principal themes that link the study of sociology and sports coaching, such as power, interaction, and knowledge and learning. The book also outlines and develops the connections between theory and practice by placing the work of each selected social theorist alongside contemporary views on that work from a current practicing coach. This is the first book to present a critical sociological perspective of sports coaching and, as such, it represents an important step forward in the professionalization of the discipline. It is essential reading for any serious student of sports coaching or the sociology of sport, and for any reflective practitioner looking to become a better coach.